Based on the internationally acclaimed best–seller The Leadership Challenge by Jim Kouzes and Barry Posner, The Leadership Challenge Values Cards Facilitator′s Guide offers step–by–step instructions on learning and applying one of the enduring truths of leadership the truth that values drive commitment. Using the guide′s innovative and time–tested activities, trainers, human resource professionals, and consultants can facilitate learning opportunities for executives, managers, and aspiring leaders who are committed to improving their leadership competencies. 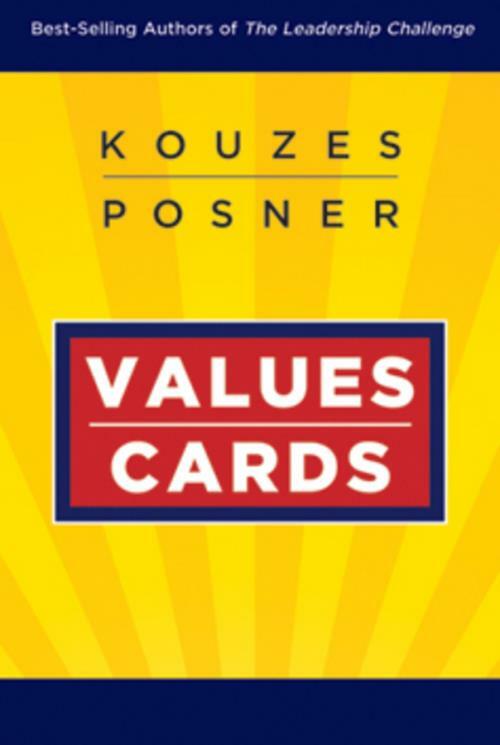 As Kouzes and Posner explain, the best leaders have a clear understanding of their personal values and ideals. The Leadership Challenge Values Cards can help any experienced or aspiring leader to clarify these personal values, as well as to build consensus on shared values that will guide them and their teams in taking decisions and actions in all situations. Each of the Values Cards is pre–printed with key words such as creativity, loyalty, and teamwork so that participants can more easily identify and record the values that are most meaningful to them. The Facilitator′s Guide contains 11 dynamic activities: 2 introductory activities, 6 Personal Values Drive Commitment Activities, and 3 Shared Values Make a Difference Activities. Facilitators will need to purchase a deck of the cards for each participant. After the workshop or coaching session, the cards become a take–away for the participants they can use their deck as a tool for reflection and as an aide for helping to clarify the values with their own constituents. They can also be used at home to engage family members in the all–important conversations about the beliefs they′d like to live by. "When I went to the Workshop, I was at a turning point in my professional and personal lives. After doing the Values Cards activity, I realized that I was not ′living my values′ to the fullest extent in either area. After the workshop, I had conversations with folks in my personal and professional lives as to what is important to me and what I stand for. As a result, I was able to make adjustments in both areas of my life." James M. Kouzes and Barry Z. Posner are authors of the award–winning and best–selling book, The Leadership Challenge. James Kouzes is the Dean′s Executive Professor of Leadership at the Leavey School of Business, Santa Clara University. Barry Posner is a Professor of Leadership at the Leavey School of Business, Santa Clara University, where he served for 12 years as Dean of the School. Their 360–degree leadership assessment instrument, The Leadership Practices Inventory (LPI) and LPI Online (www.lpionline.com) has helped develop the leadership skills of over 3 million people worldwide. Their website can be found at www.leadershipchallenge.com.